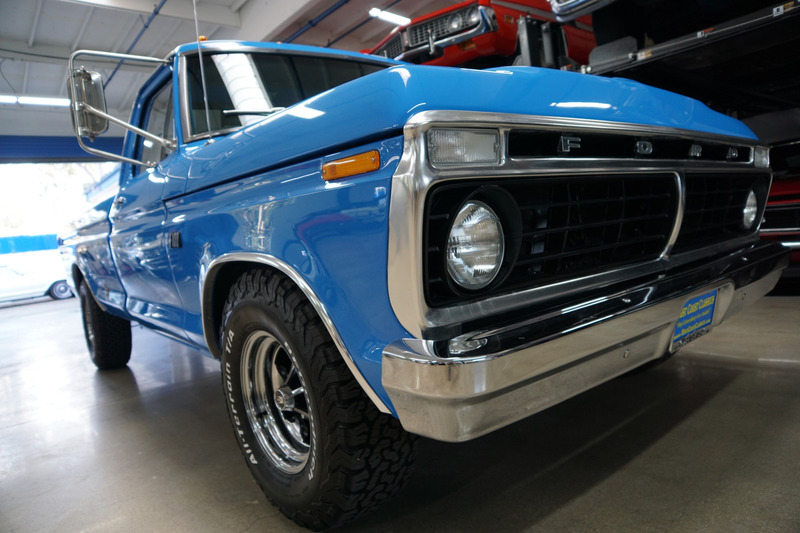 The sixth generation of the F Series is a line of pickup trucks and medium-duty commercial trucks that were produced by Ford from 1972 to 1979. 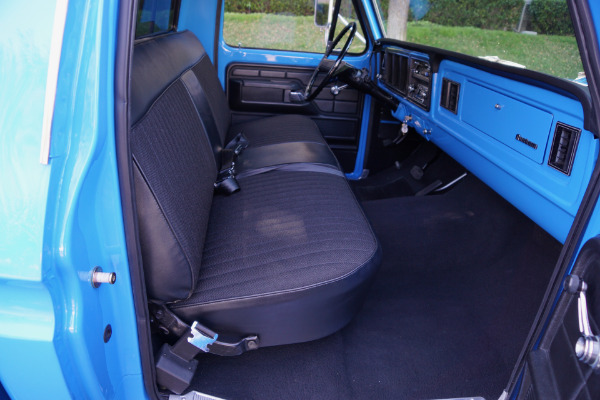 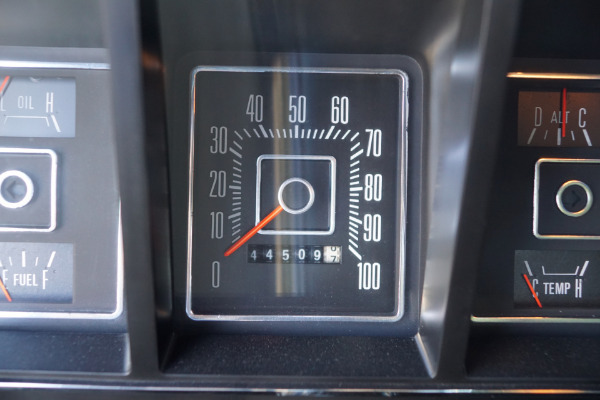 This generation was launched in December 1972 for the 1973 model year. These were the last generation of trucks to use the F-Series chassis introduced in 1965. 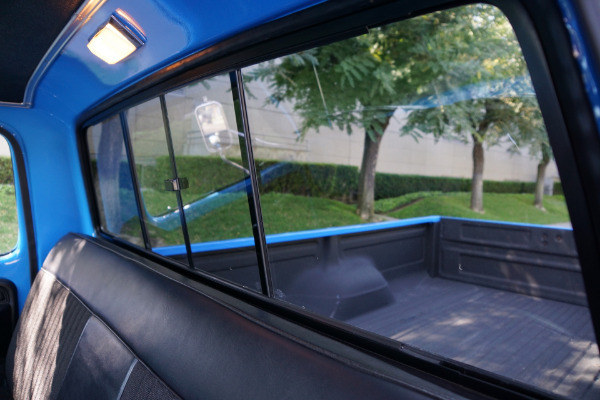 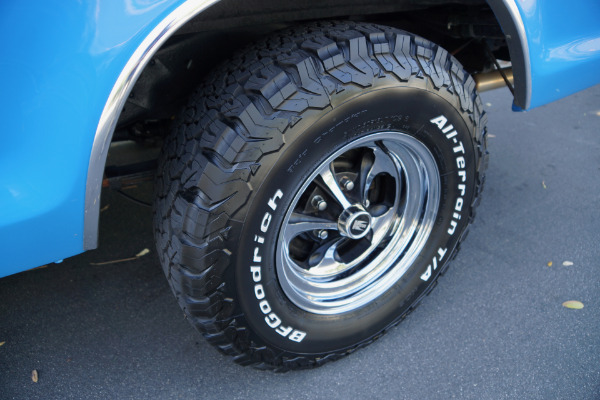 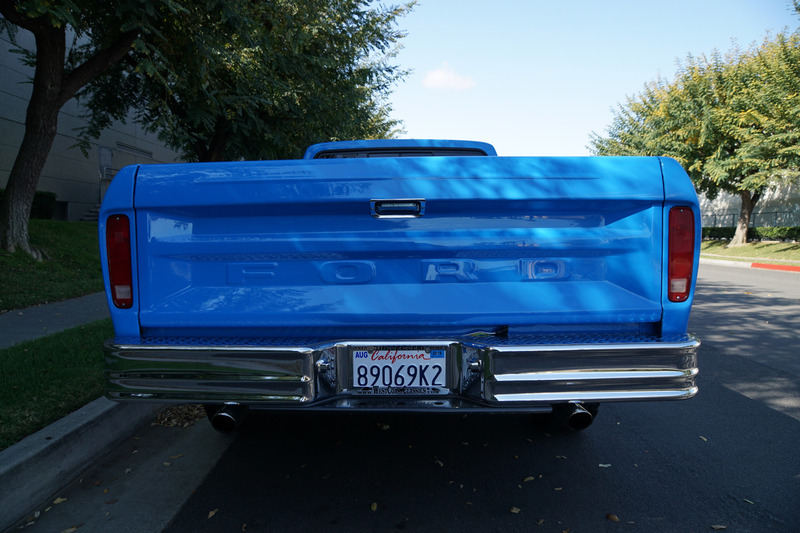 After a decade as a compact SUV, the Ford Bronco was redesigned as a shortened version of the F-Series. 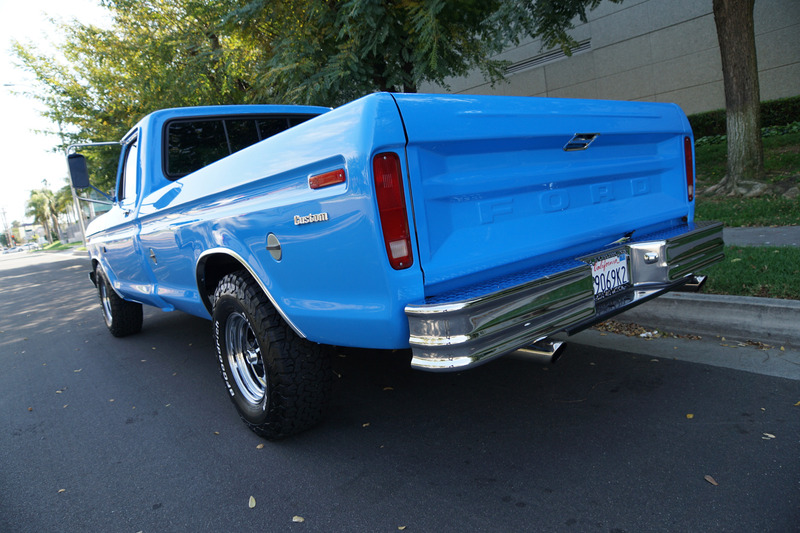 This generation also marks the introduction of the F-150 (introduced in 1975) which today is the most popular model. 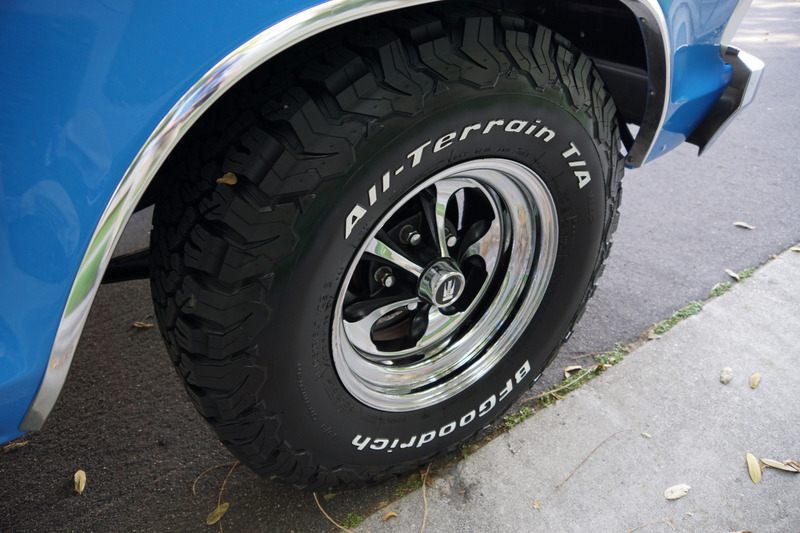 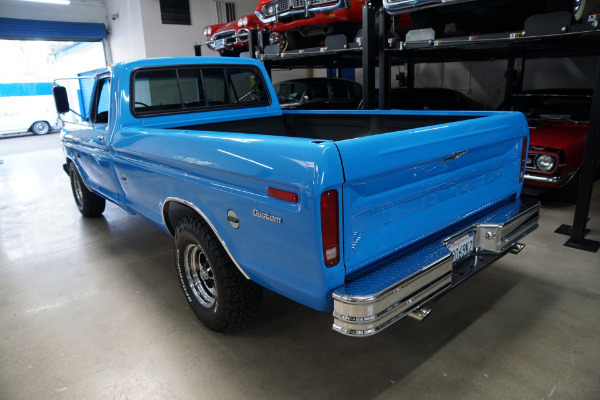 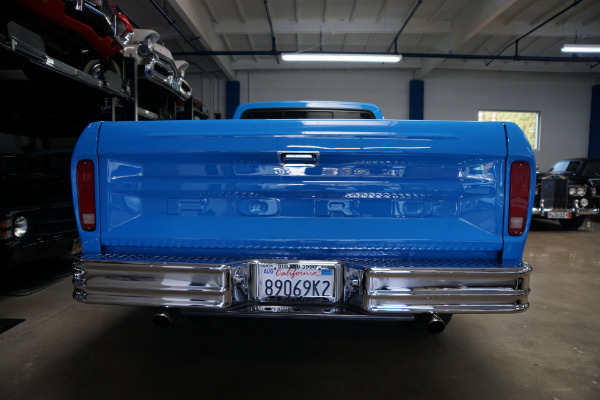 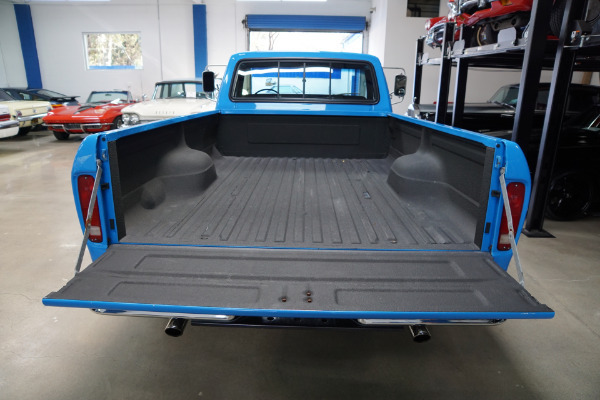 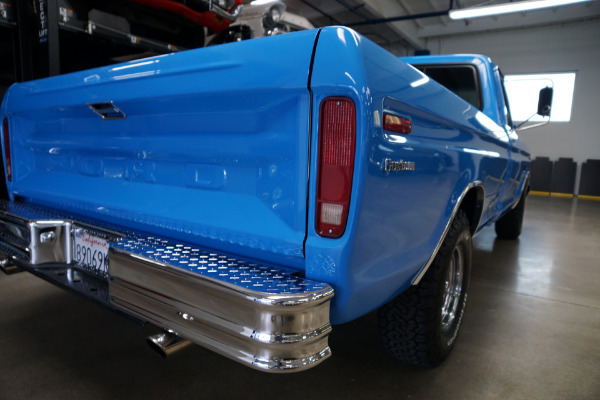 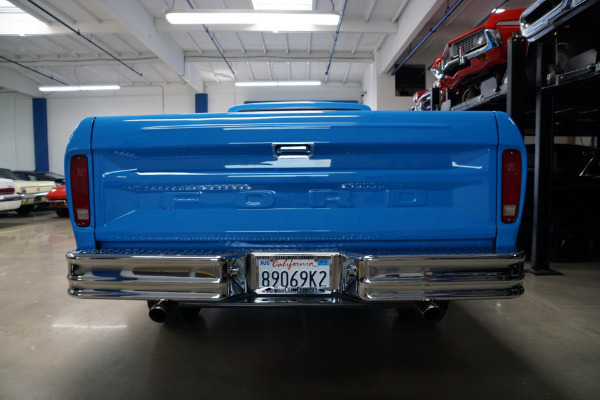 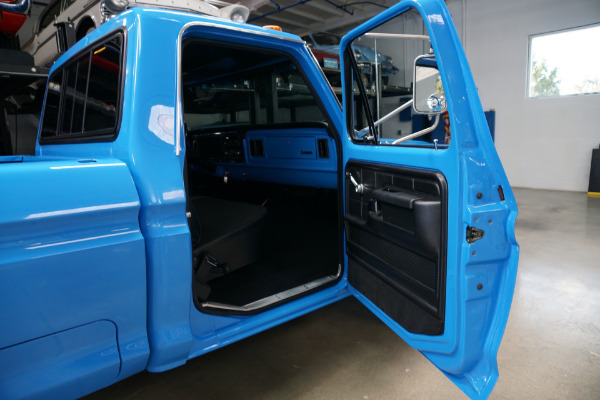 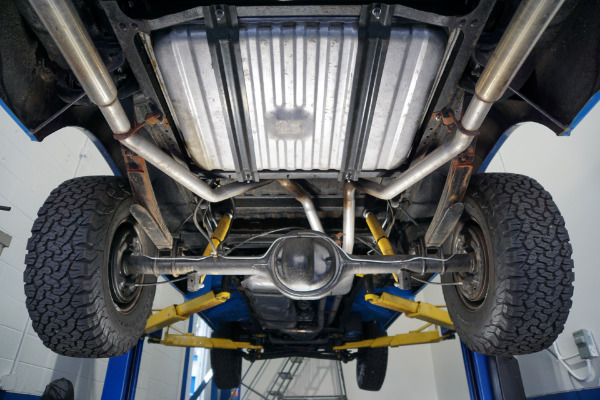 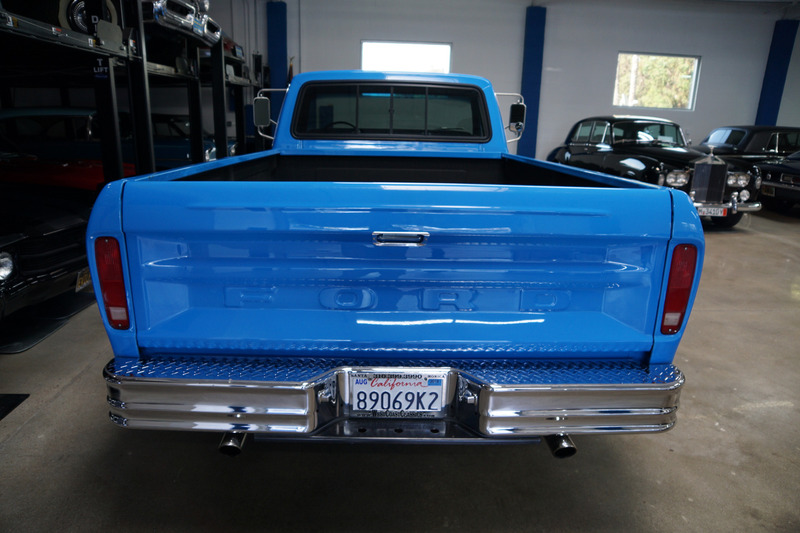 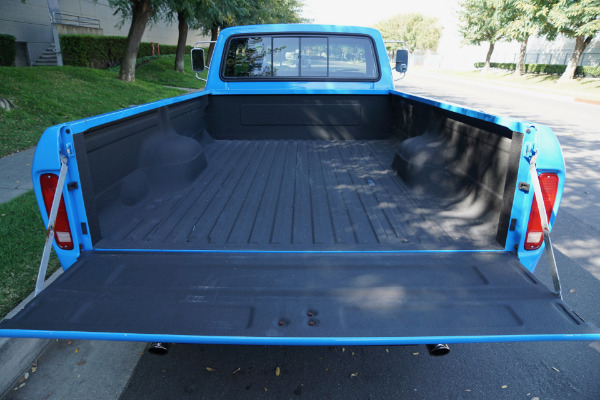 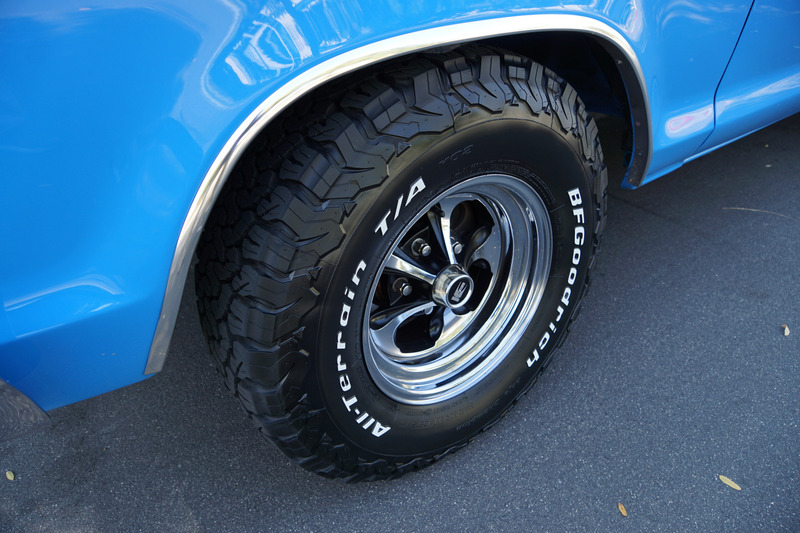 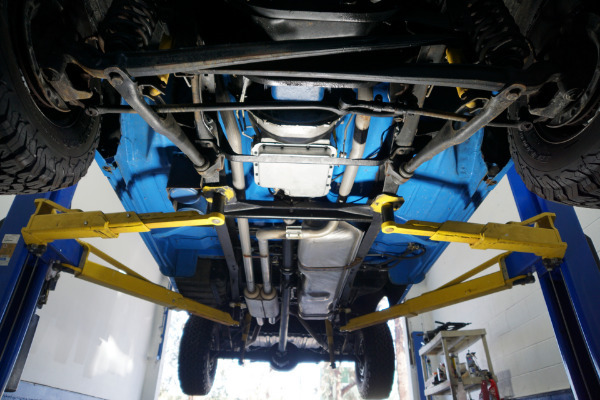 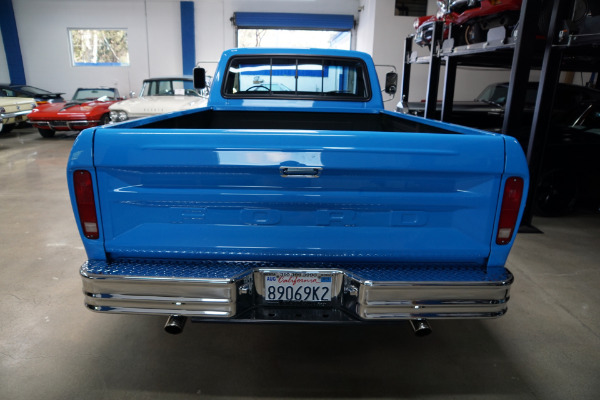 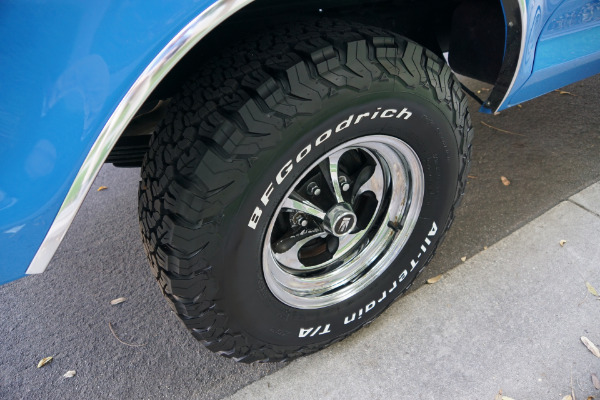 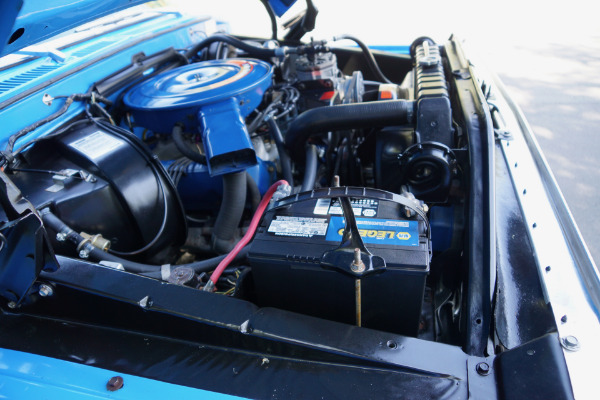 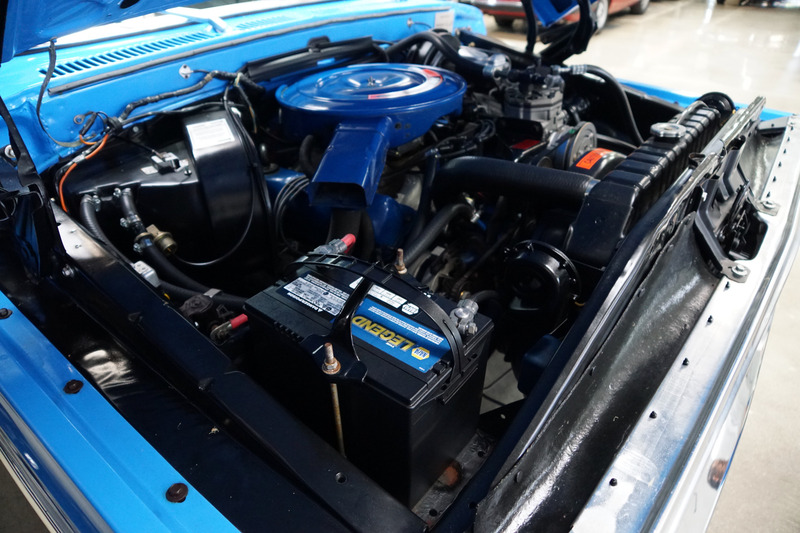 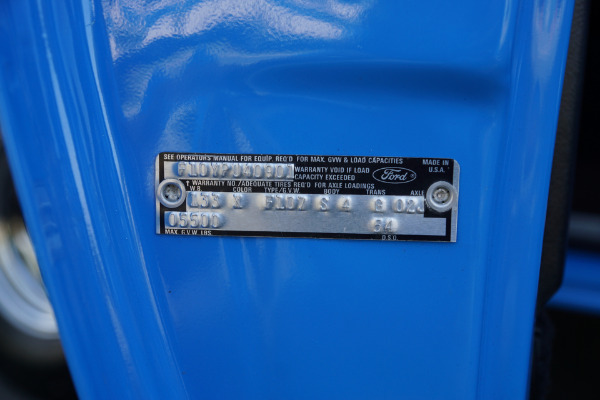 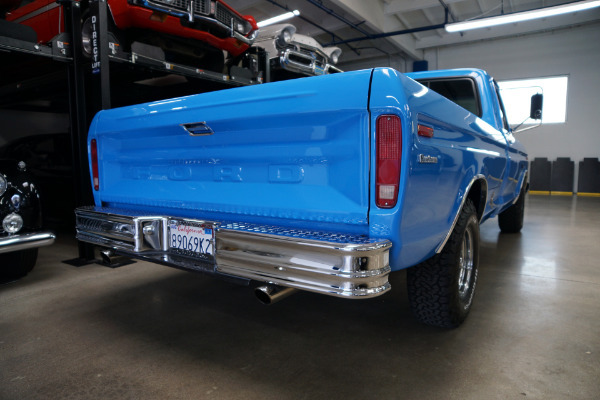 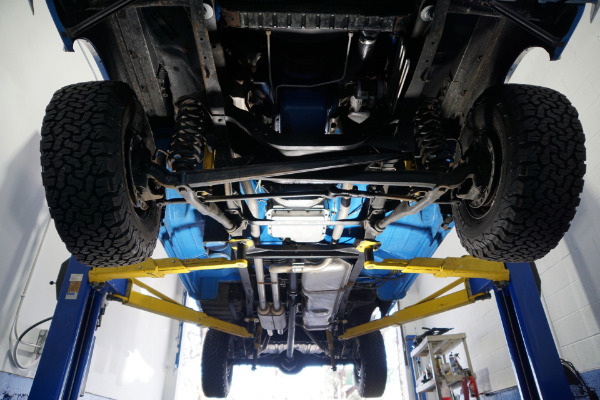 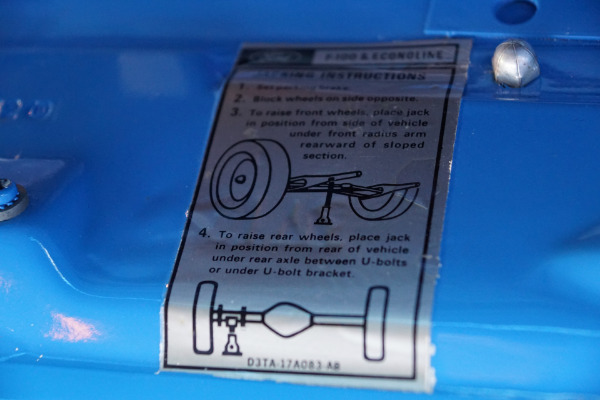 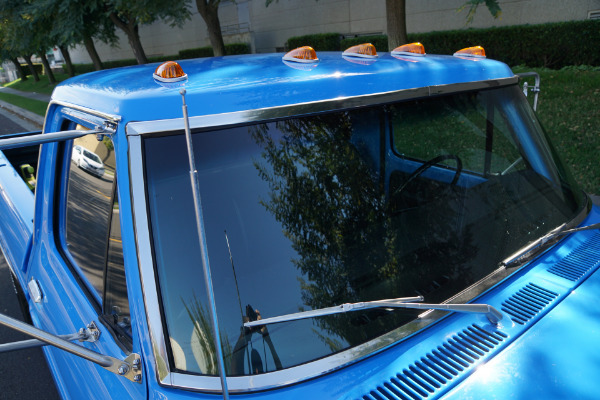 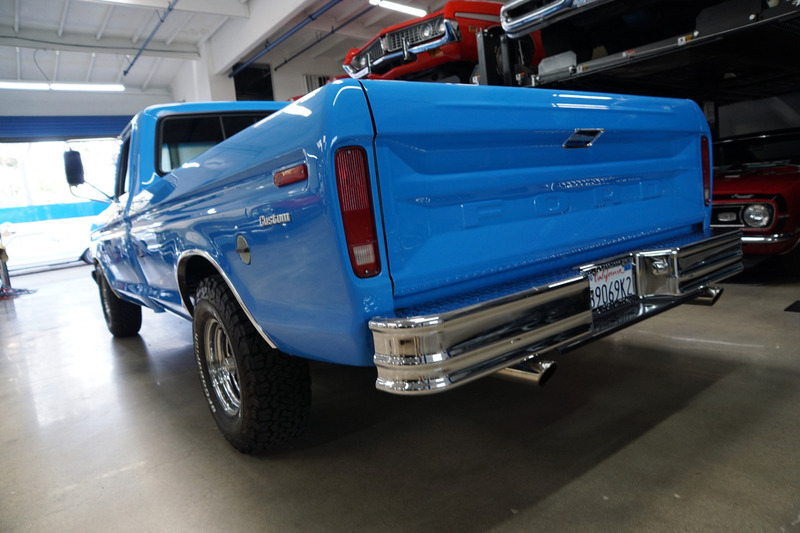 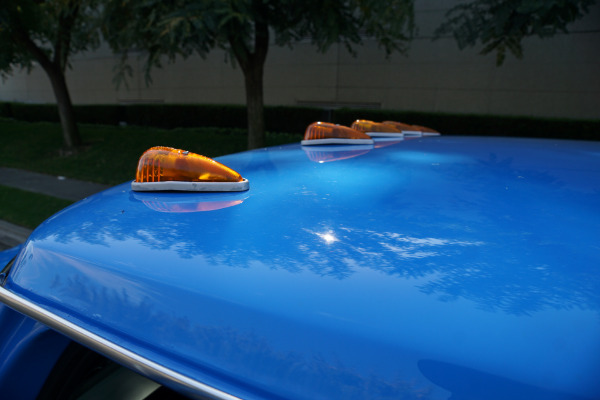 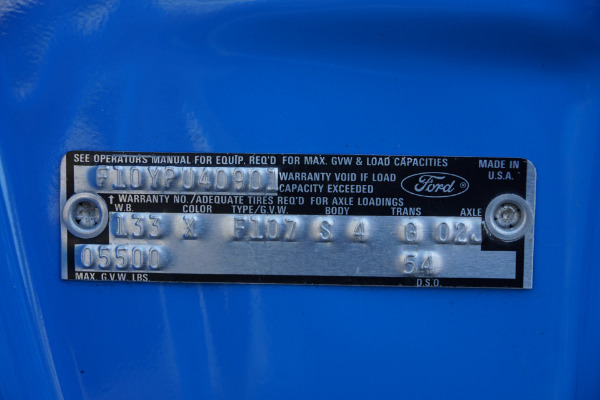 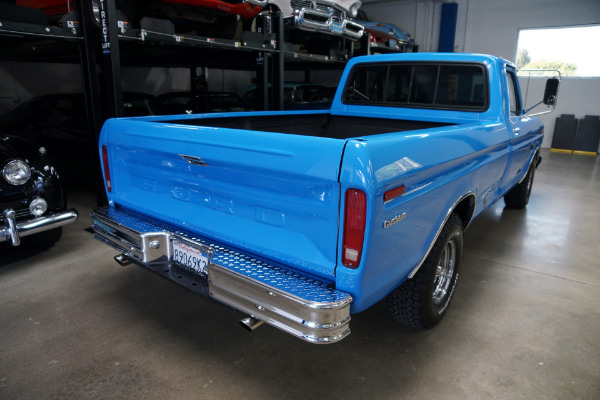 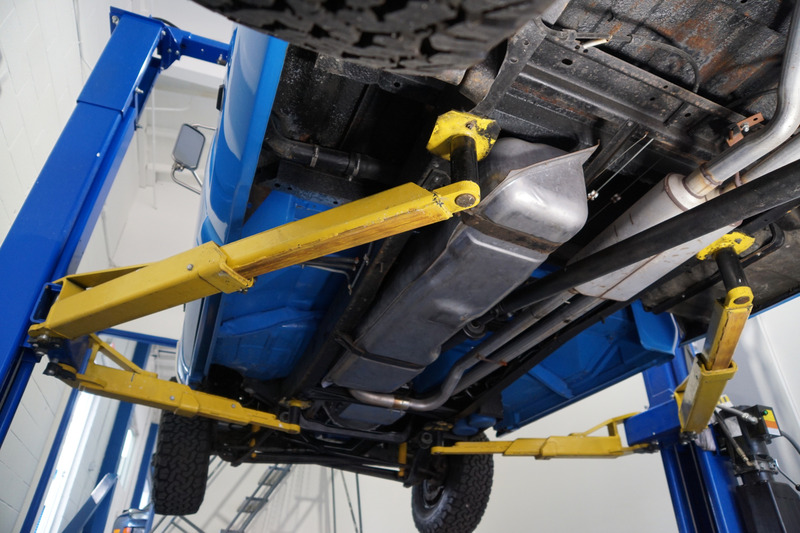 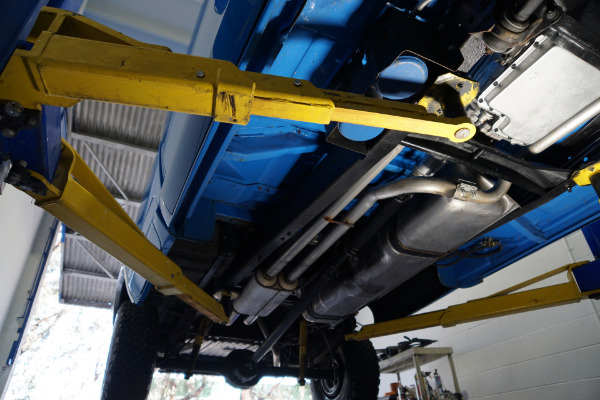 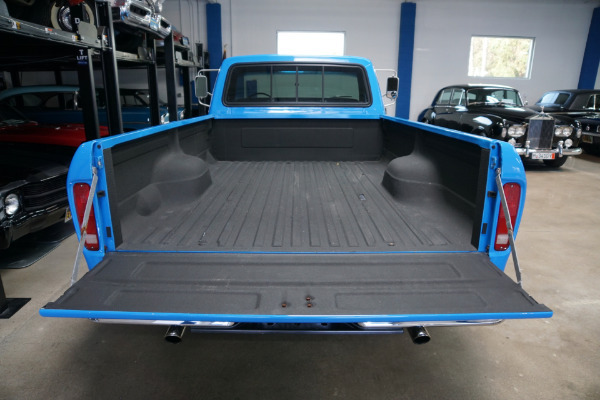 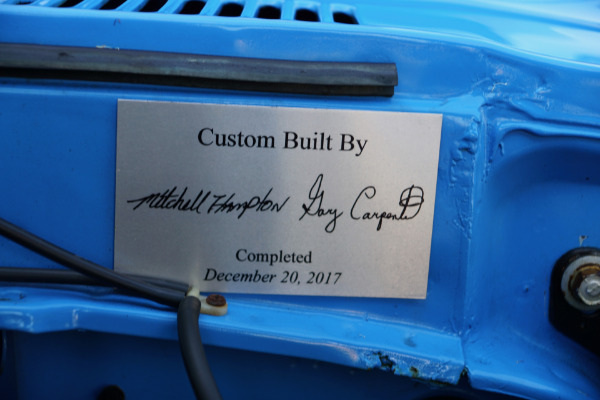 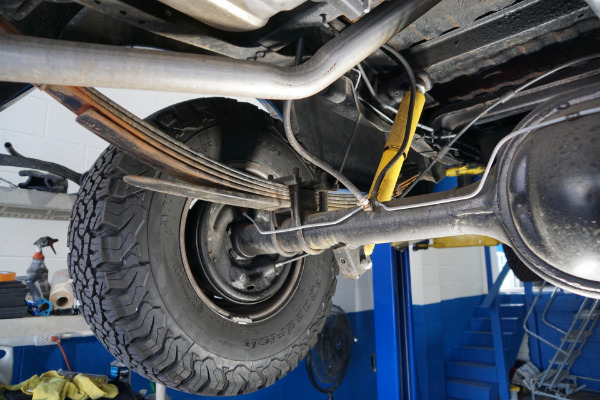 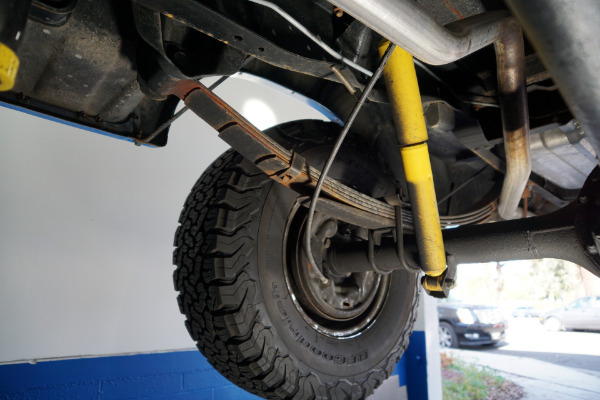 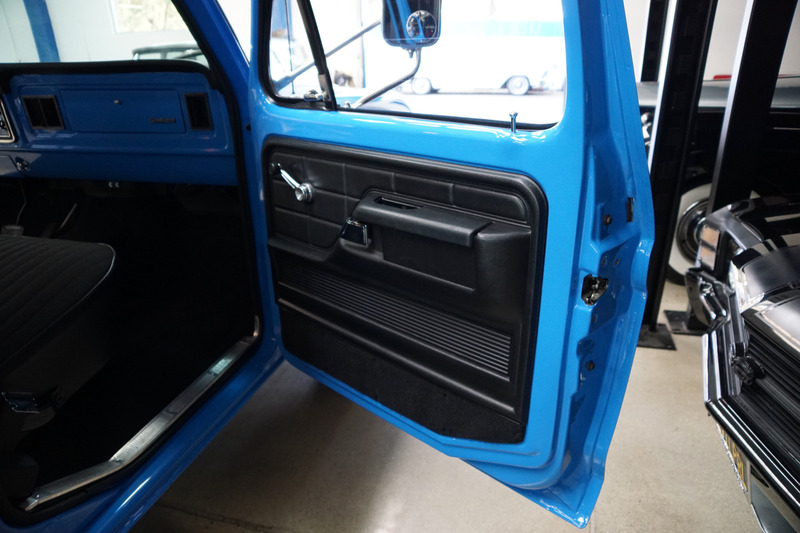 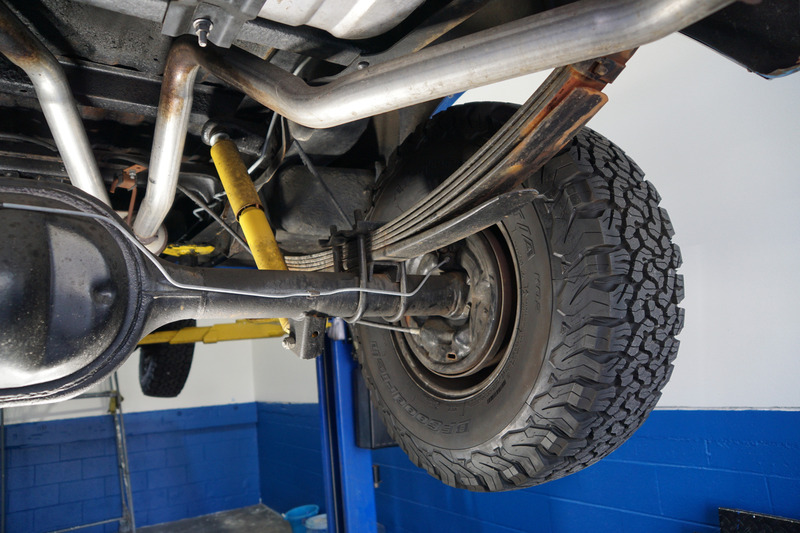 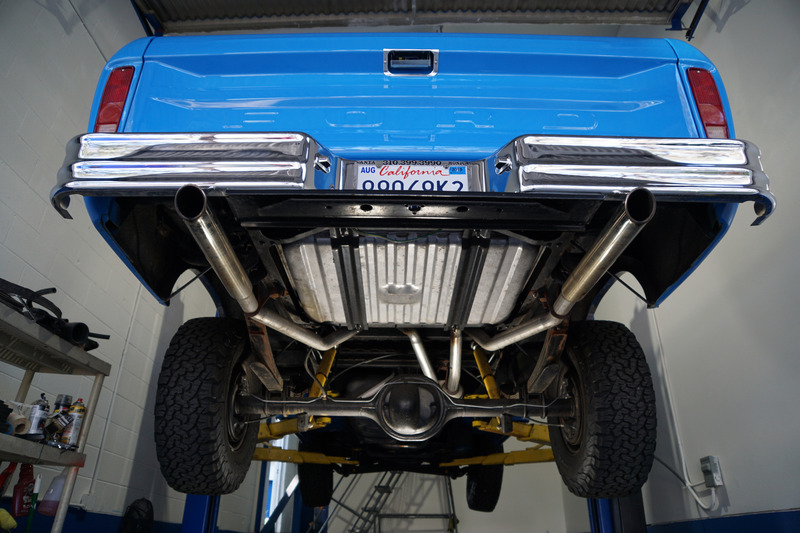 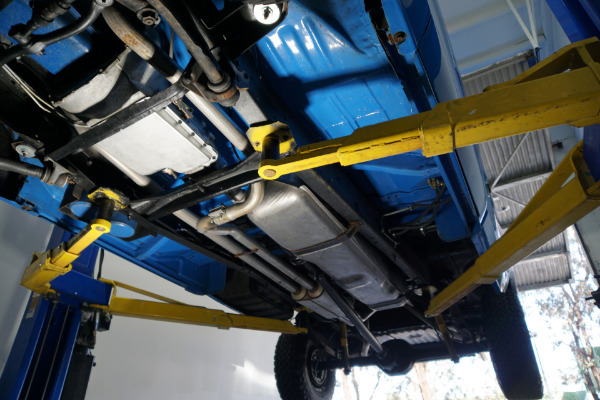 This generation is noted for the body panels' durability as Ford used extensive amounts of galvanized sheet metal, zinc coated steel, zinc rich primer and fender liners, to fight corrosion. 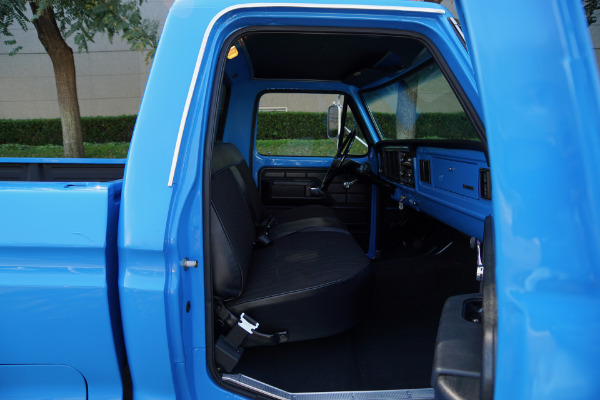 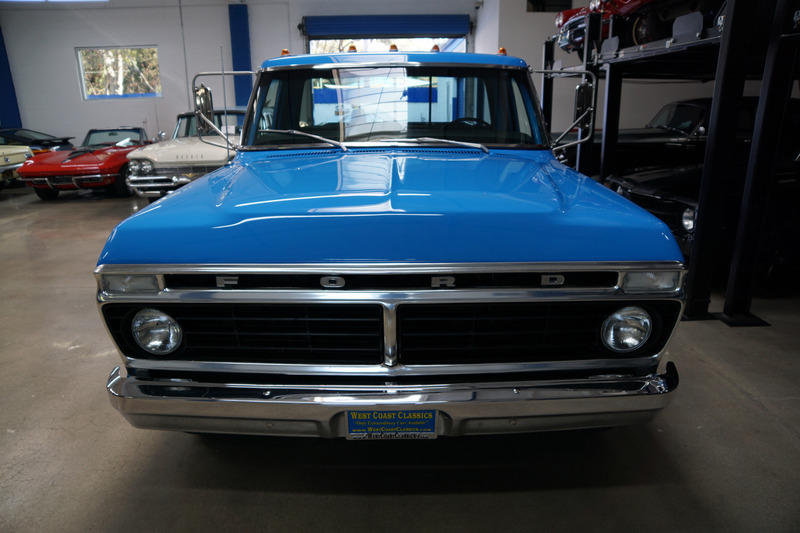 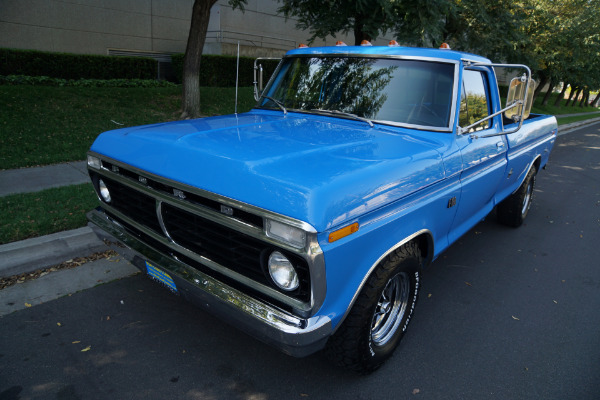 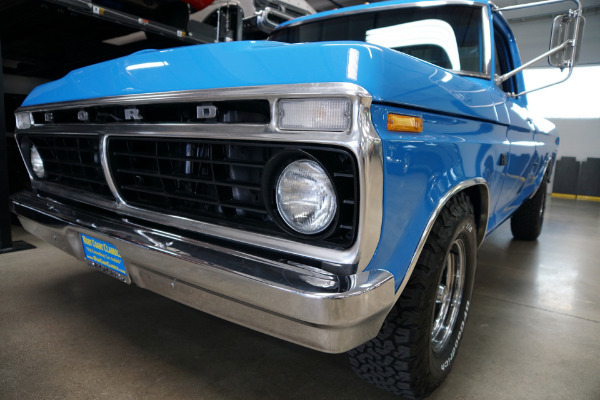 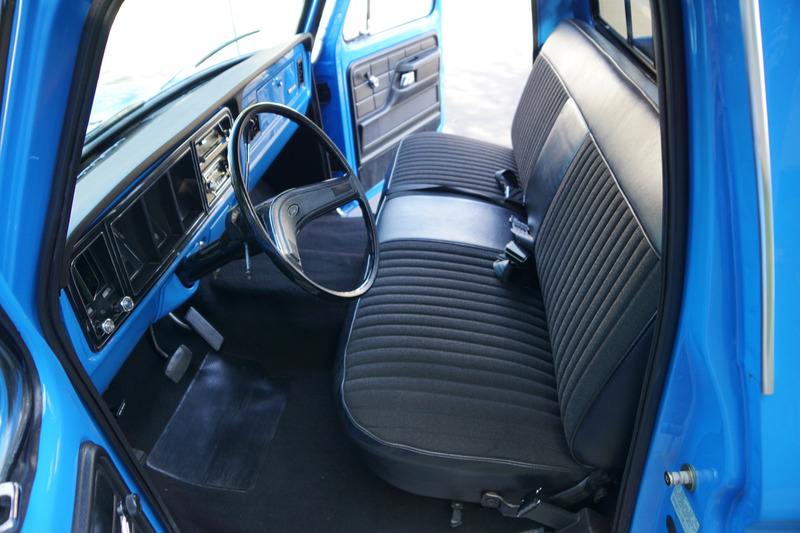 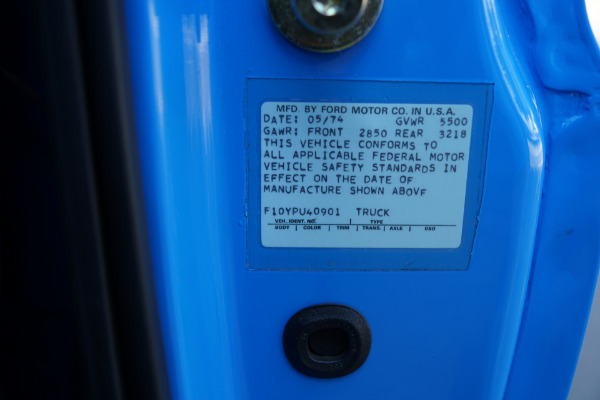 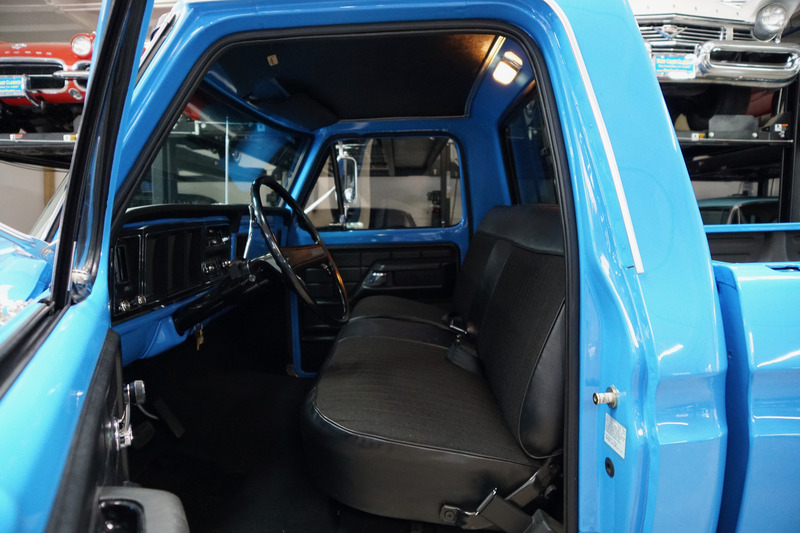 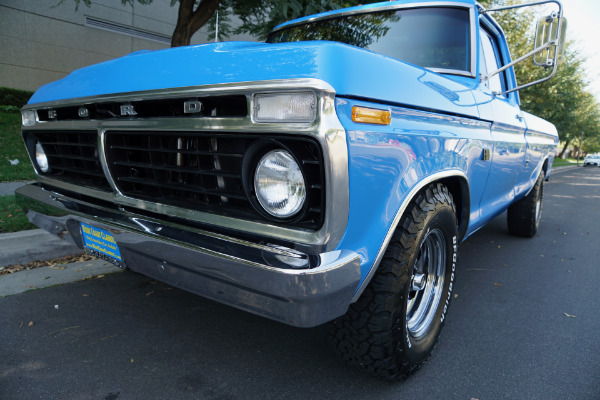 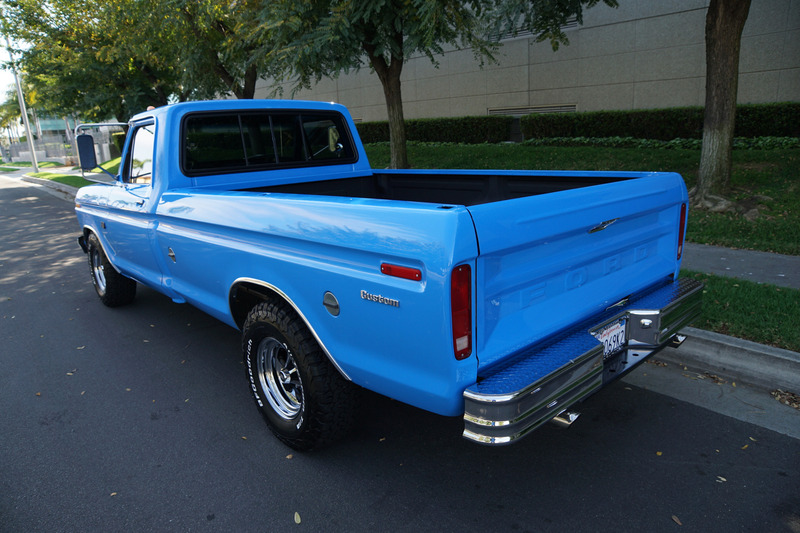 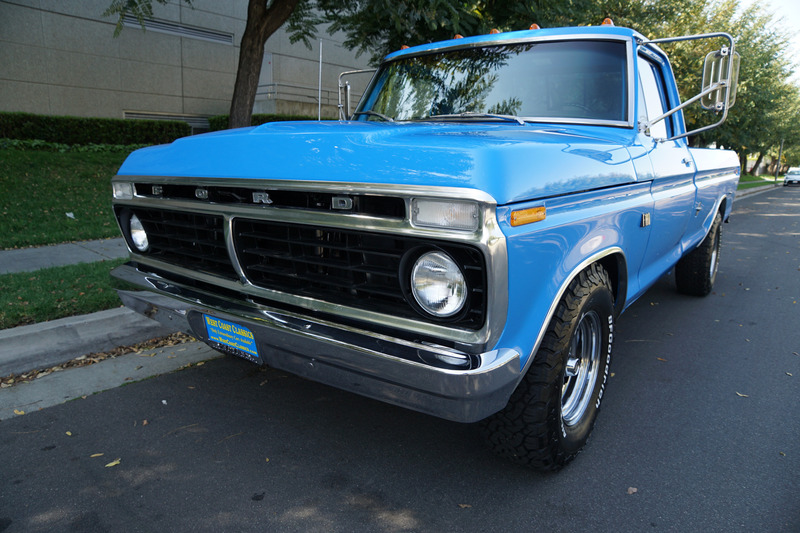 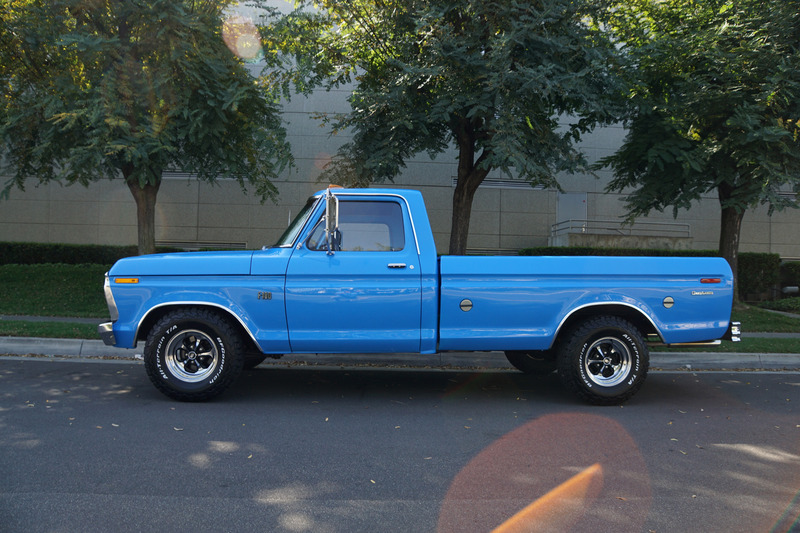 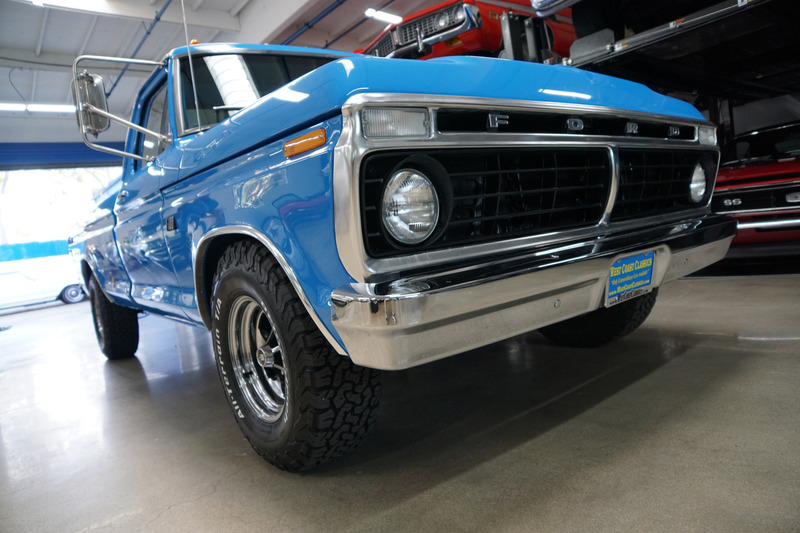 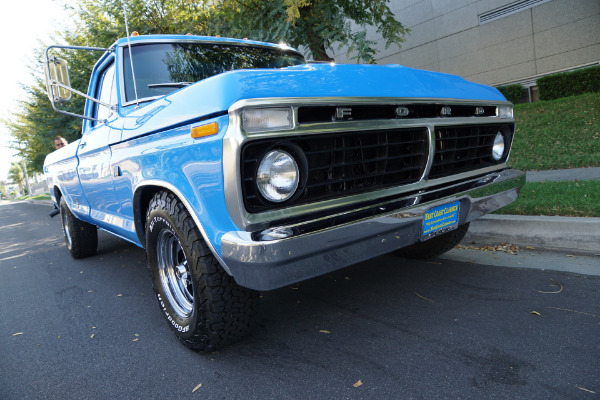 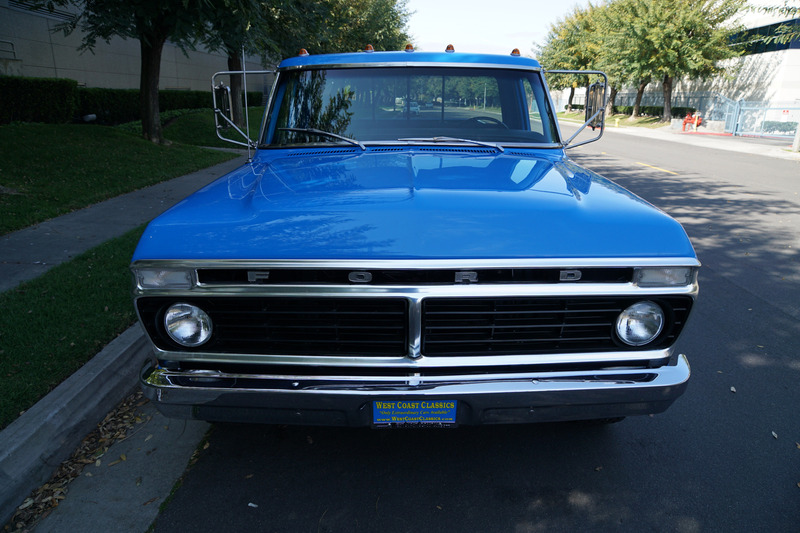 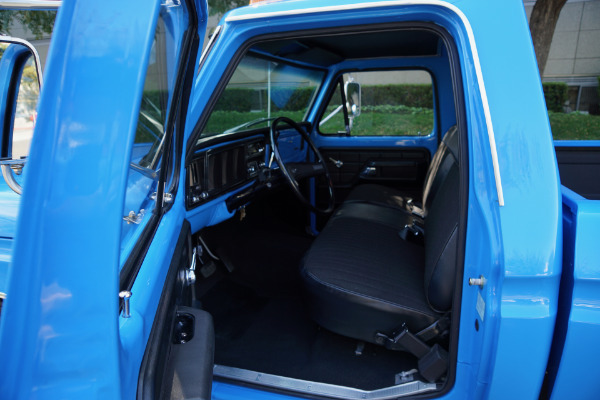 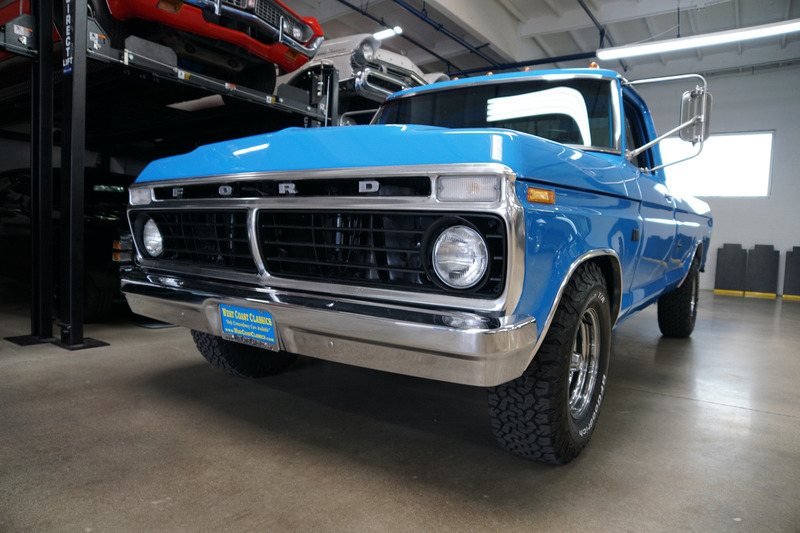 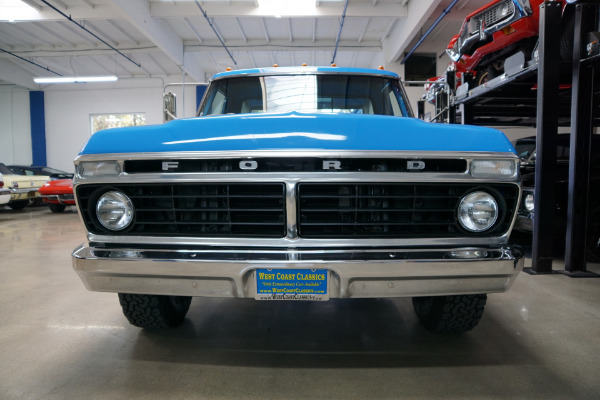 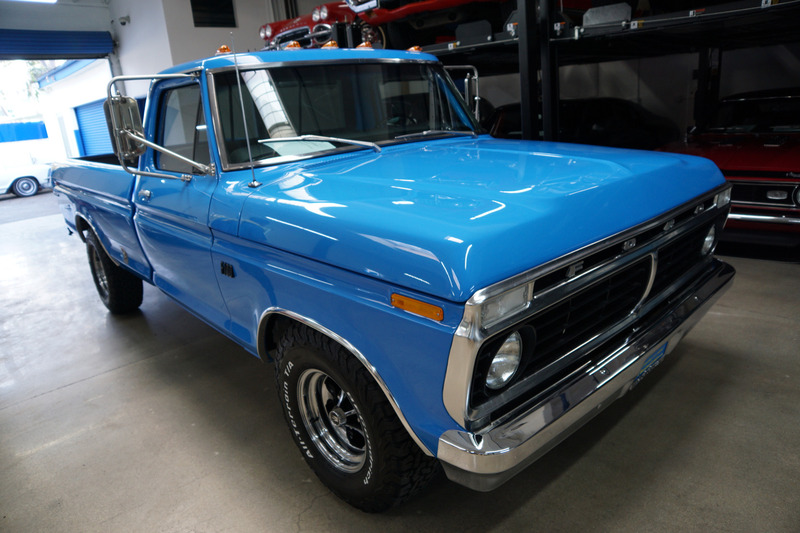 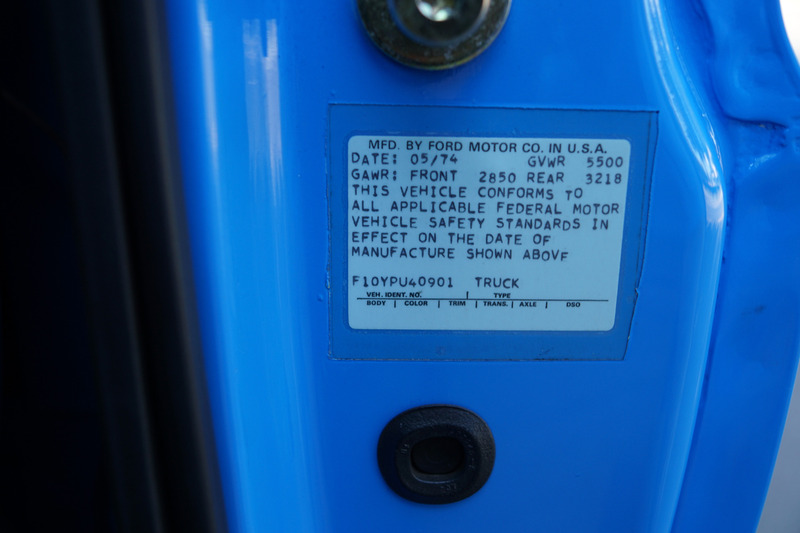 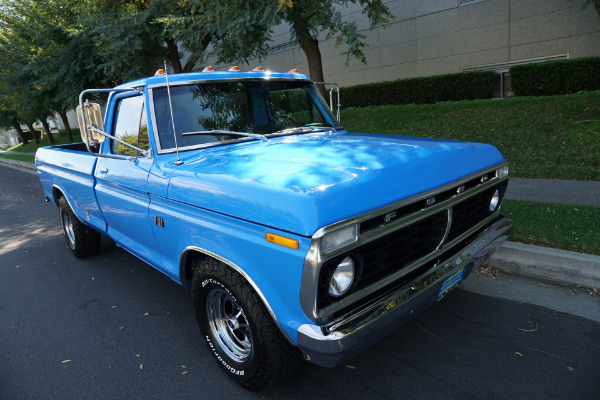 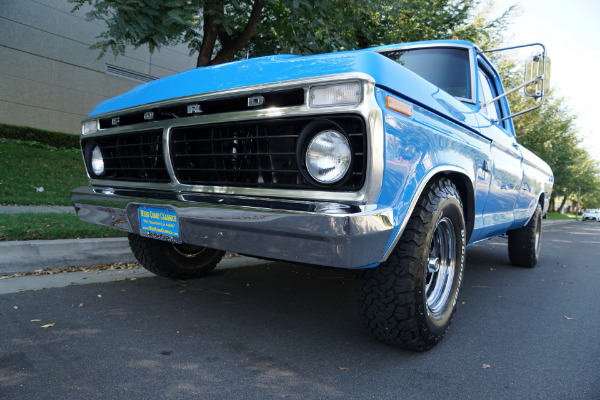 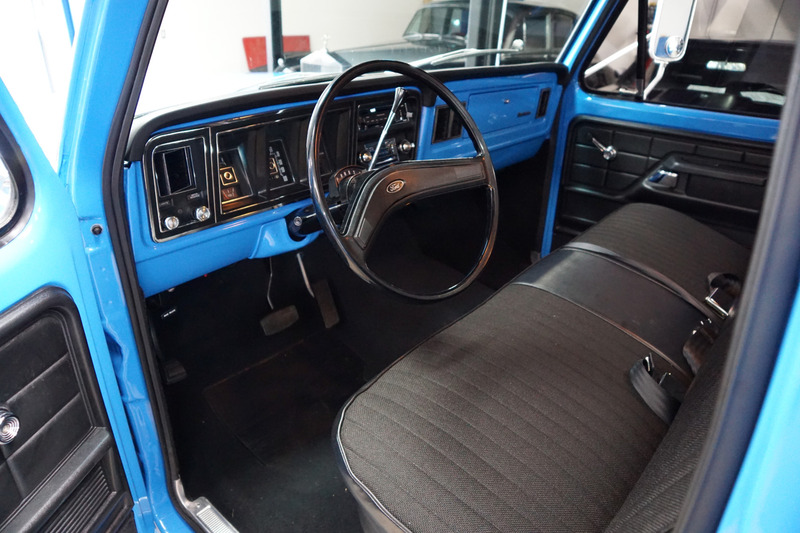 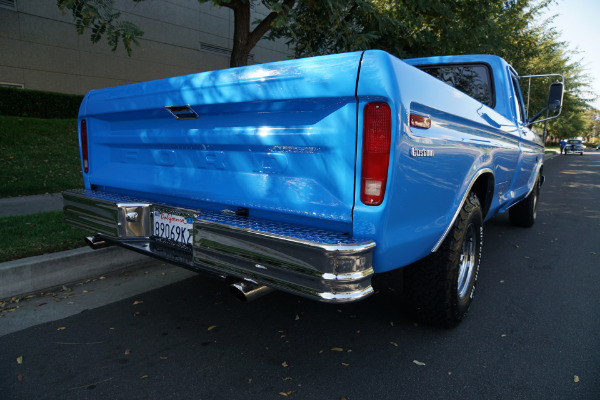 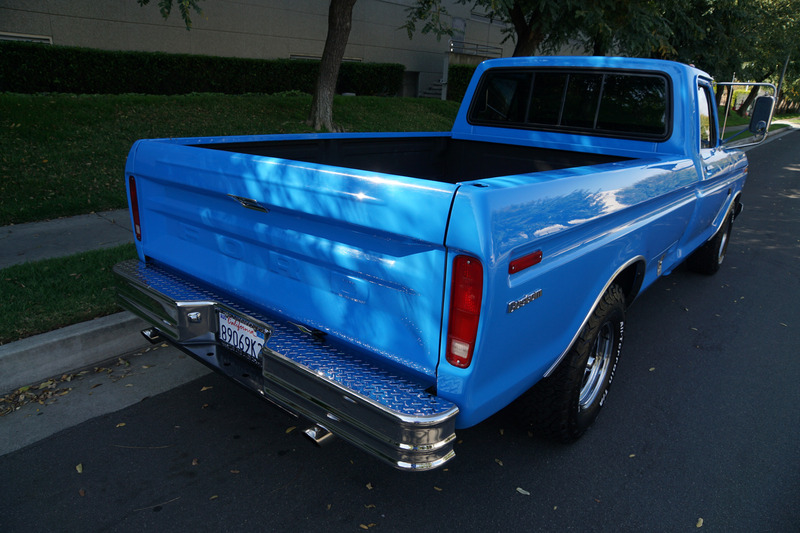 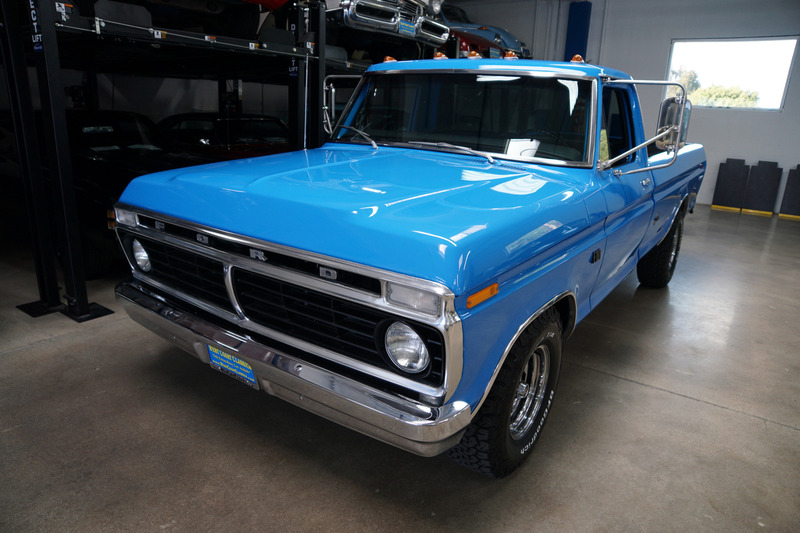 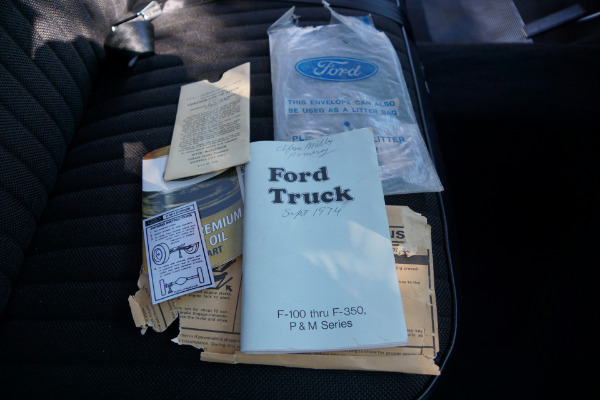 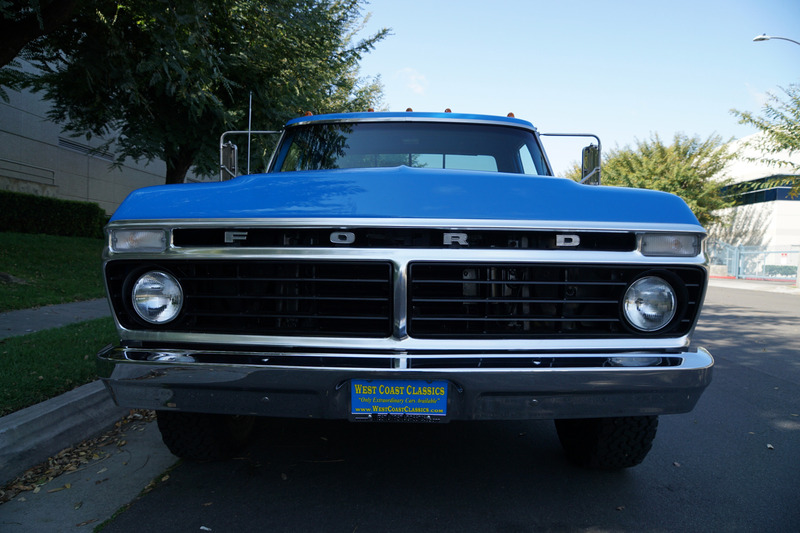 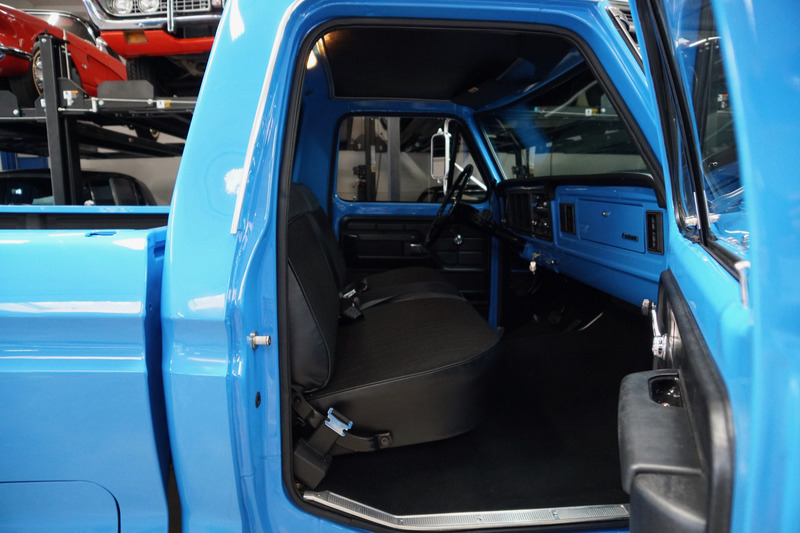 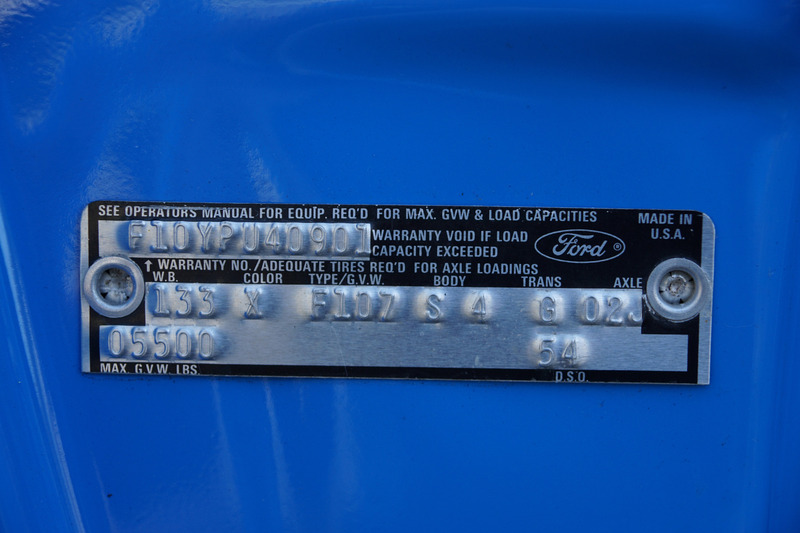 In 1976, the F-Series became the best-selling trucks in America, a position it has continued to retain ever since. 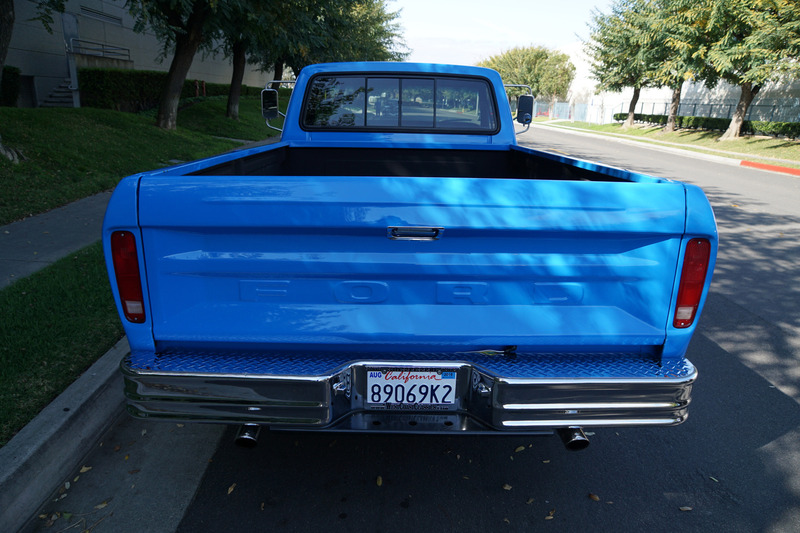 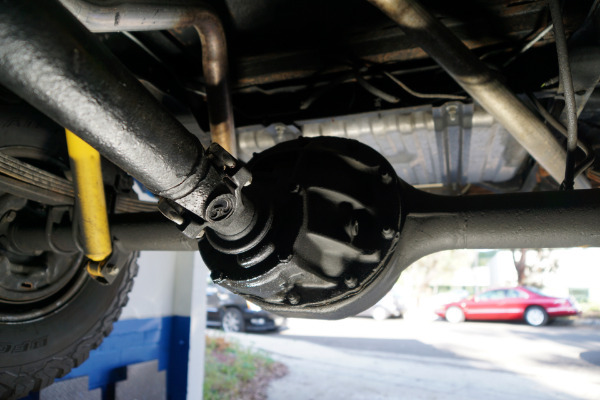 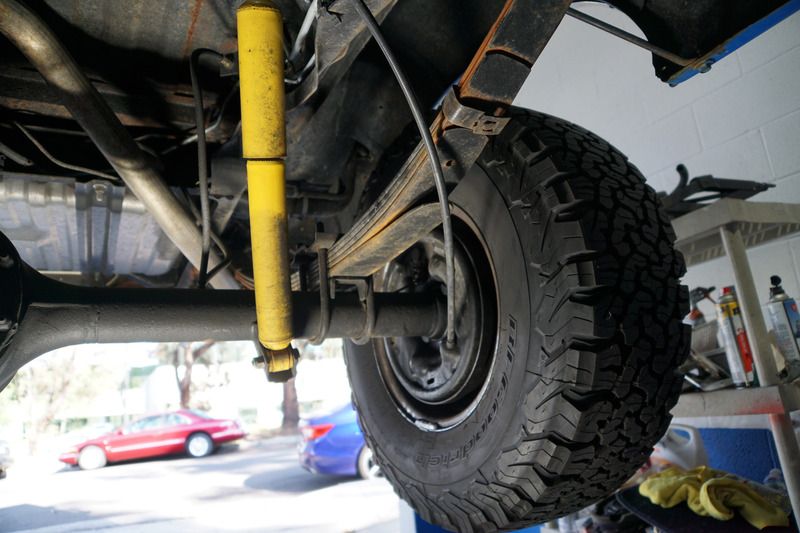 Galvanized inner front fender aprons and zinc coating with rust-resistant primer helped prevent rust. 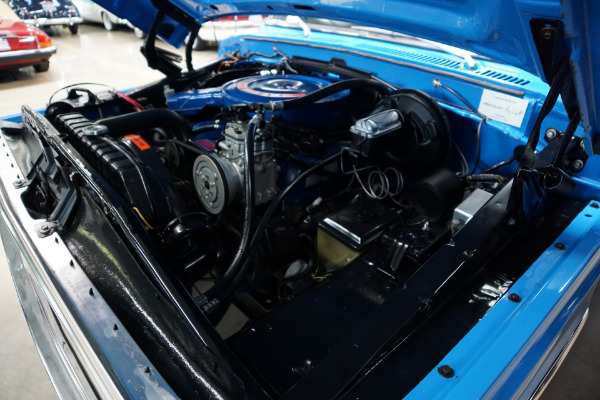 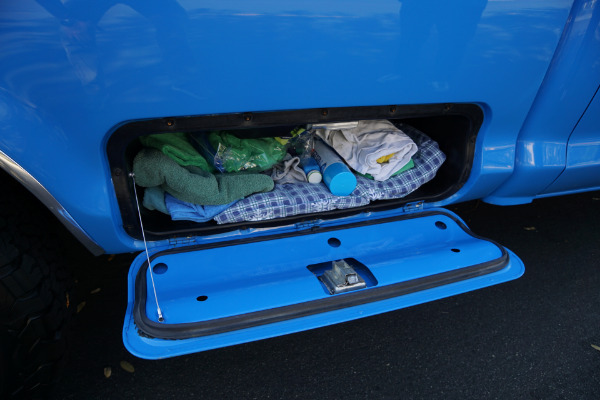 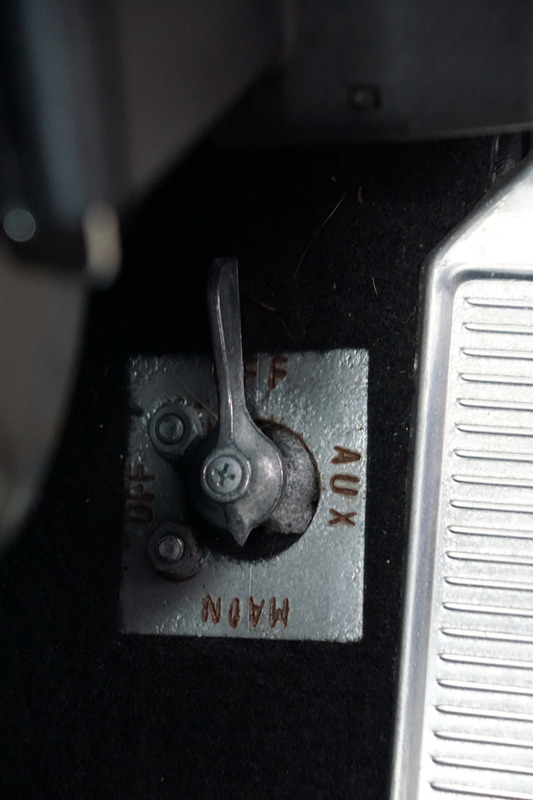 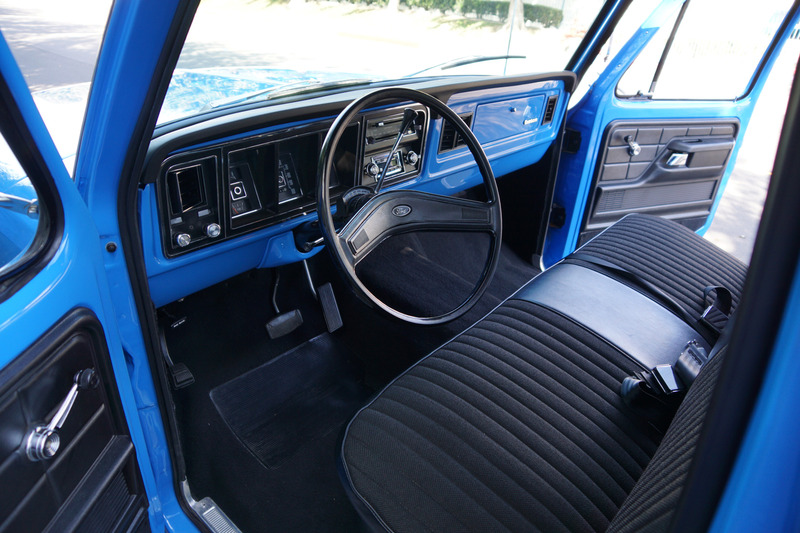 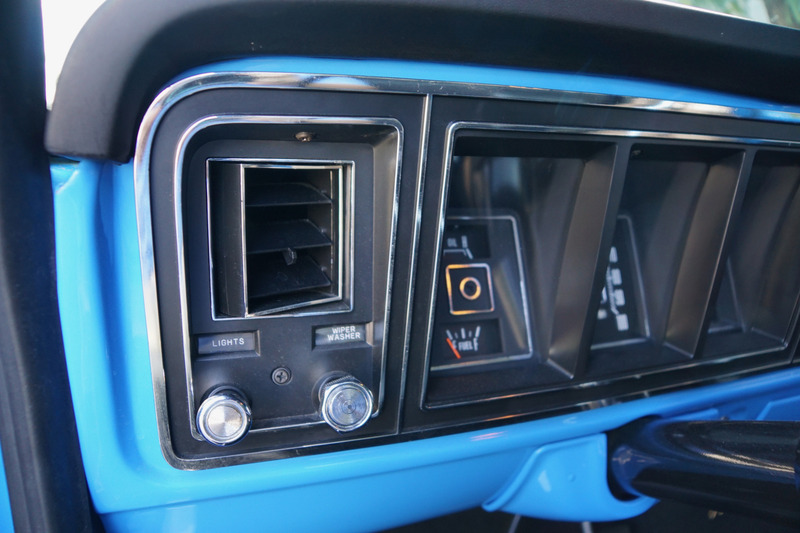 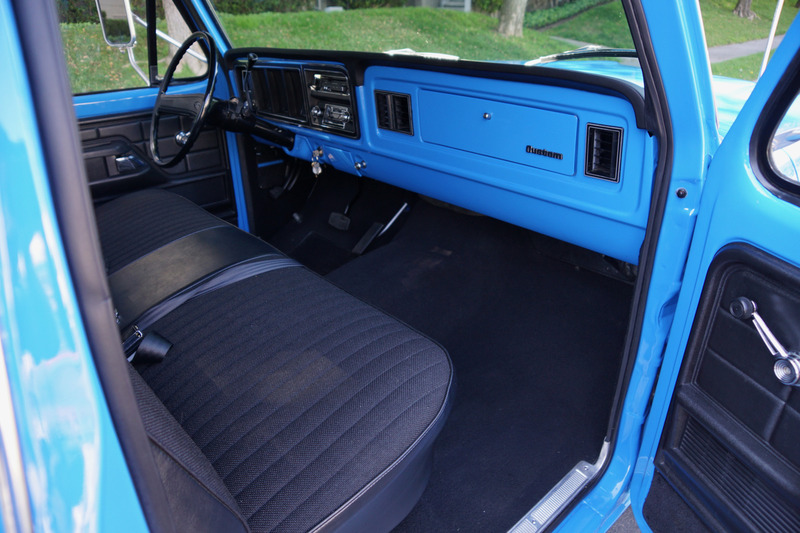 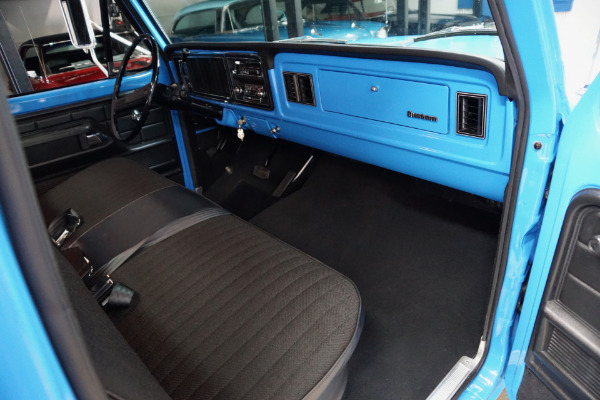 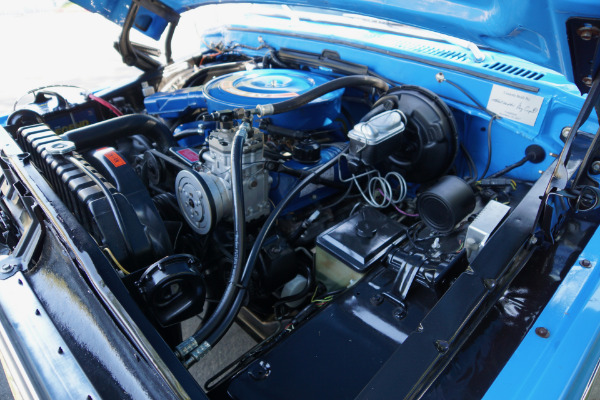 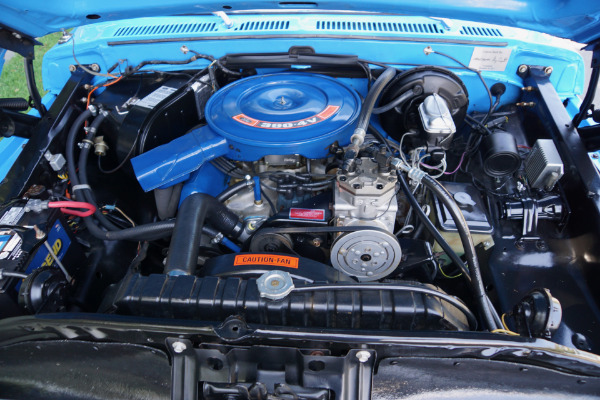 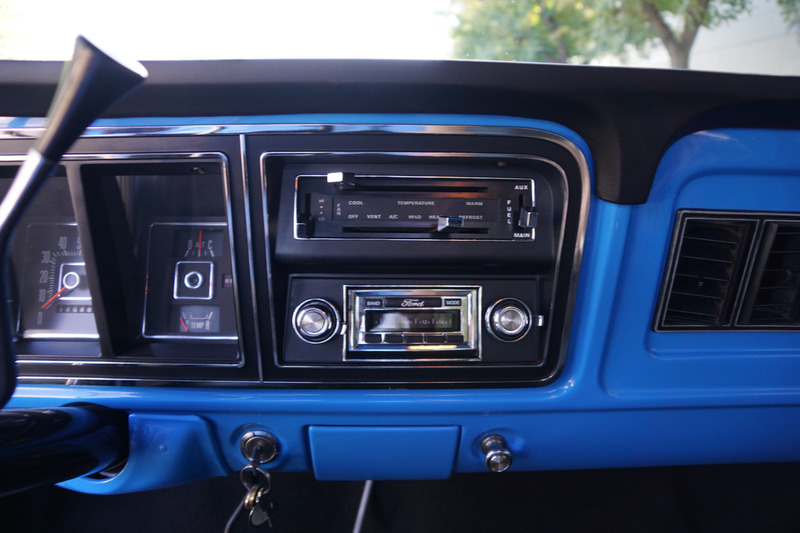 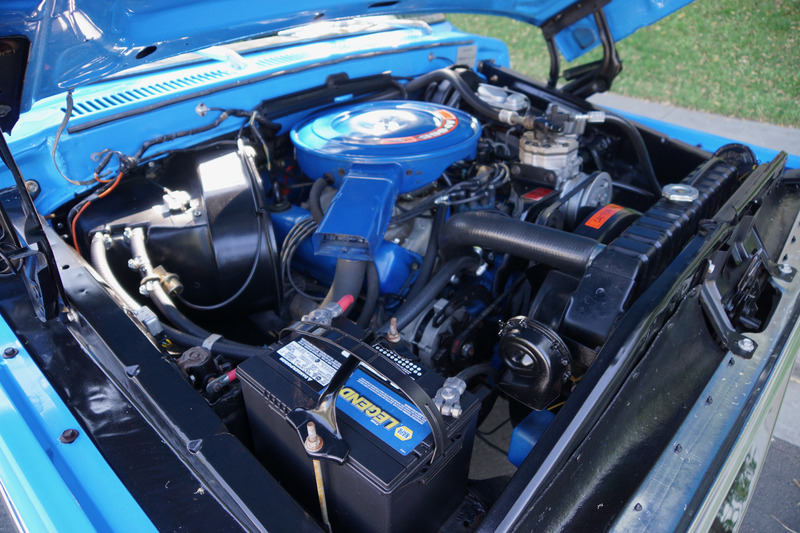 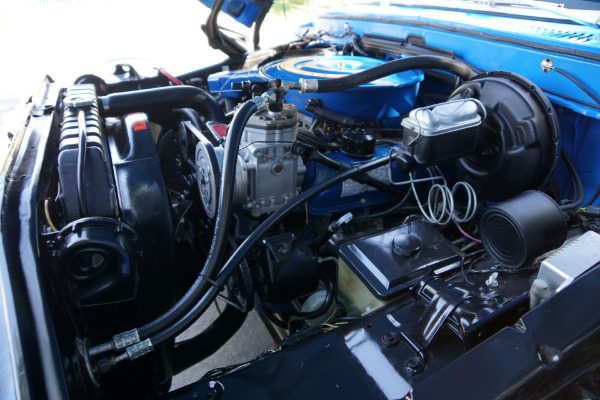 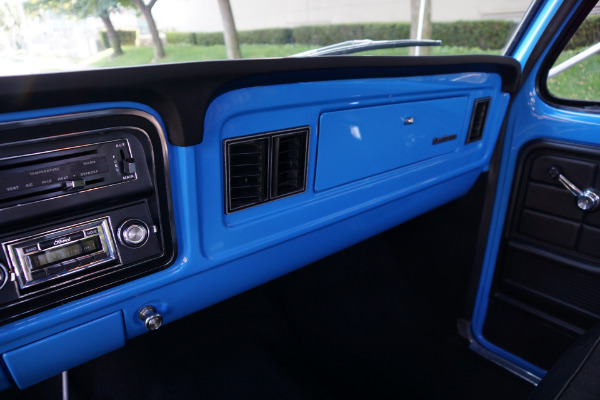 Air conditioner vents were integrated into the dash, and the blower was moved to the engine compartment. 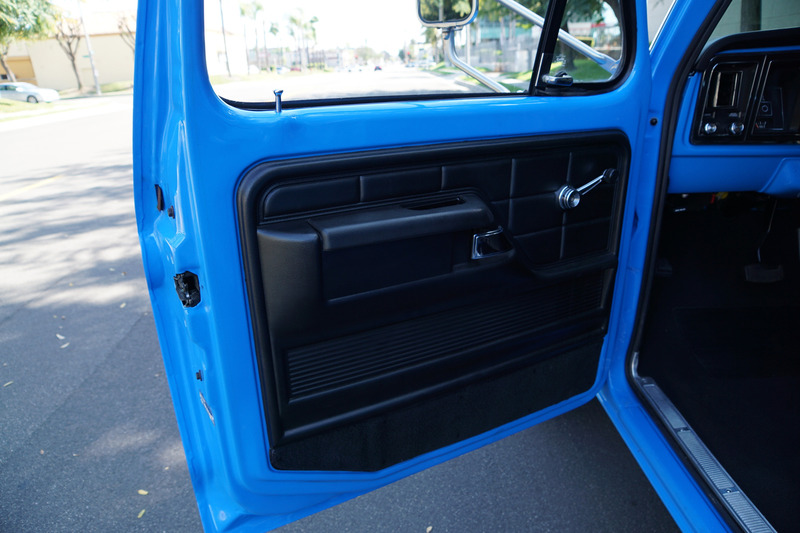 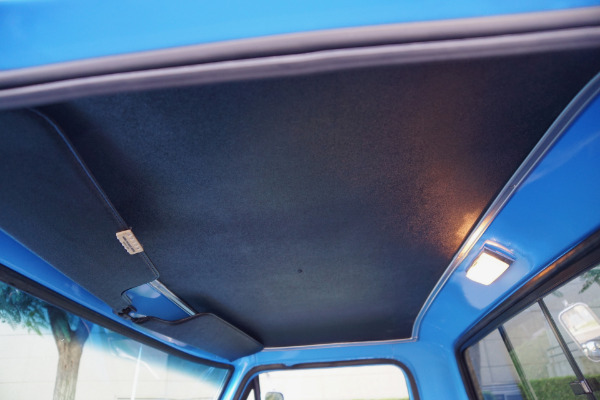 The result: less noise in the cab and space for a much larger glove box. 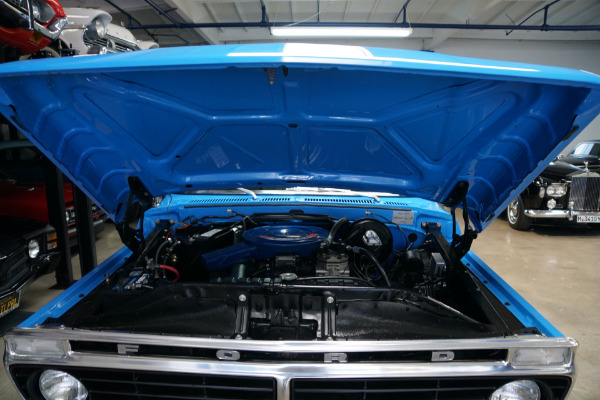 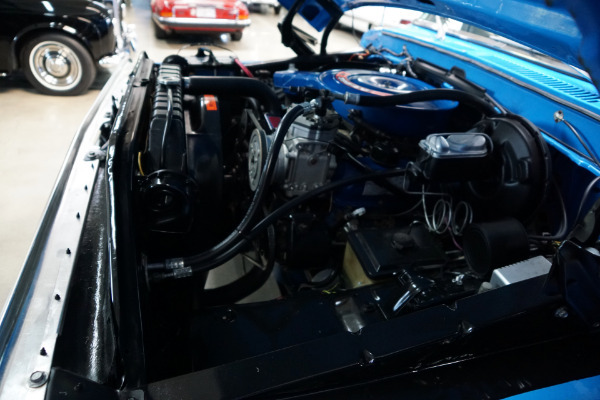 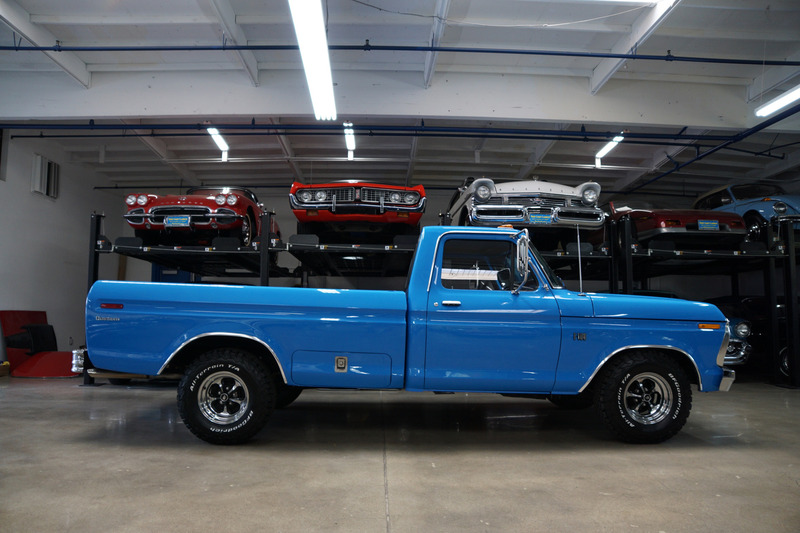 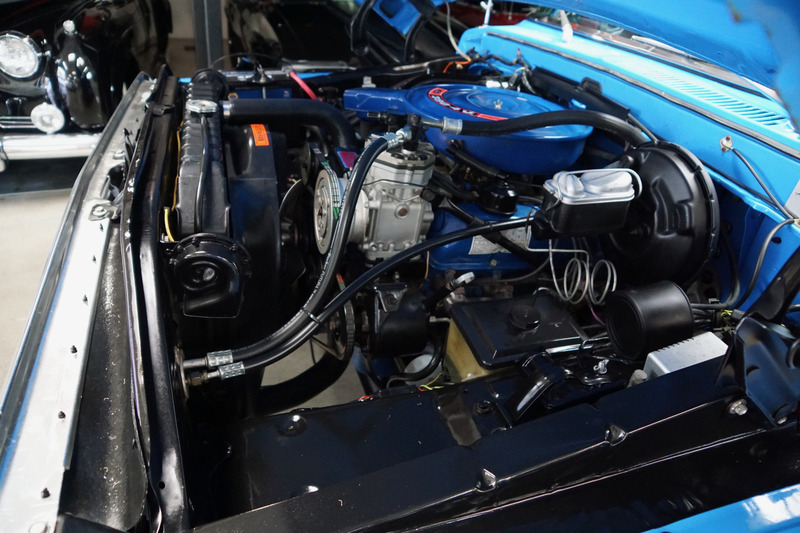 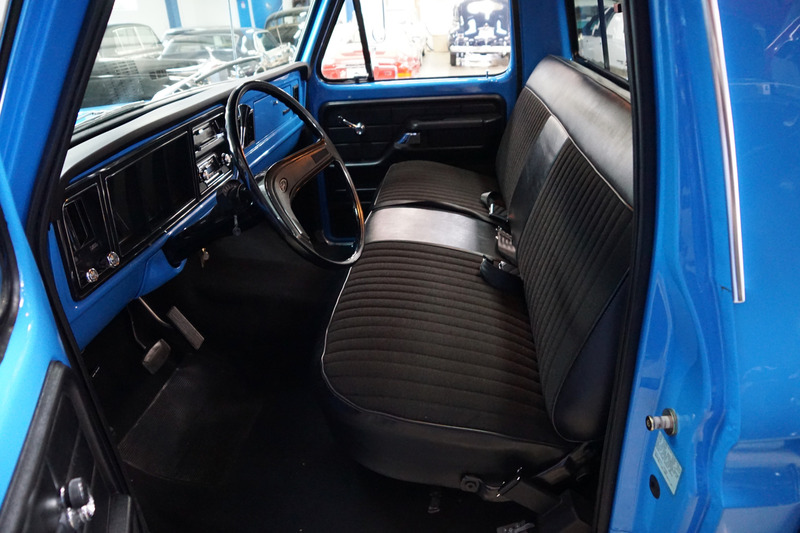 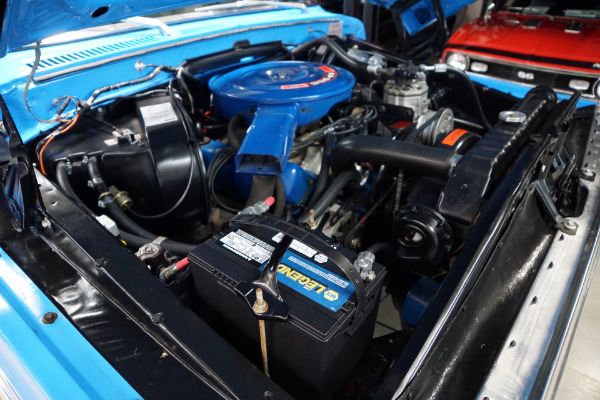 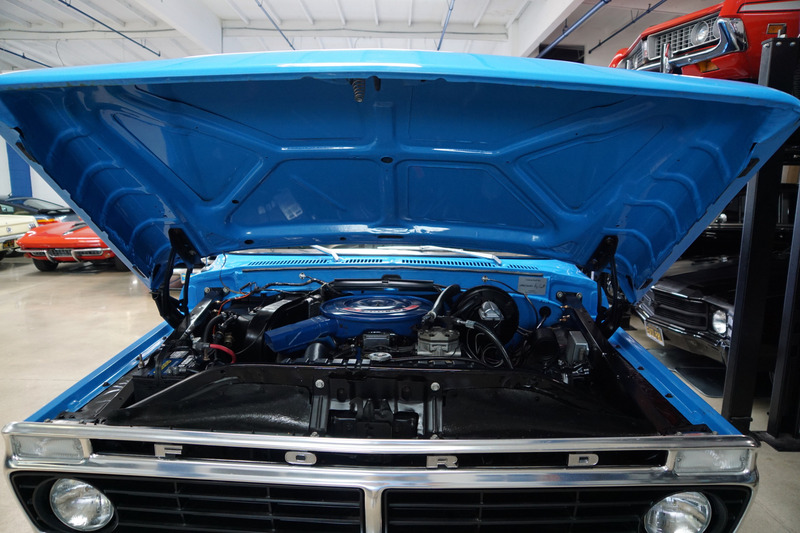 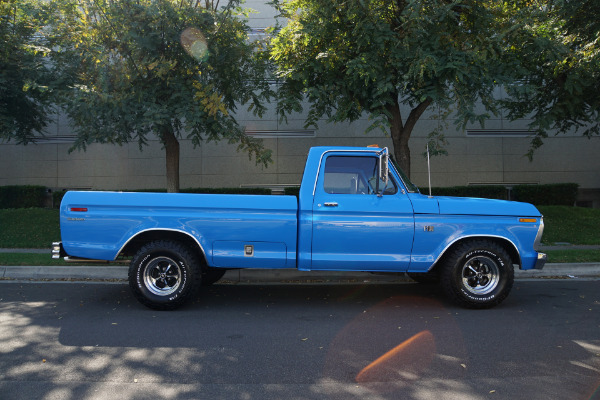 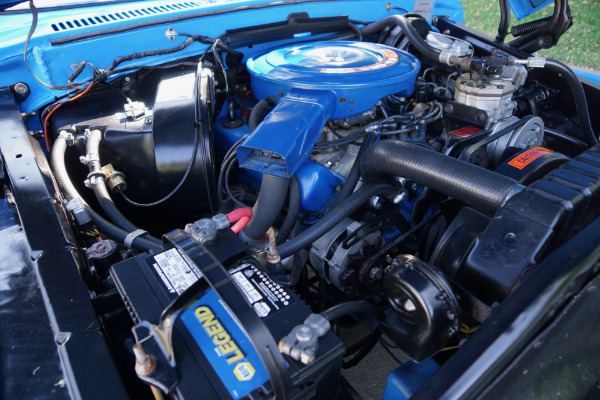 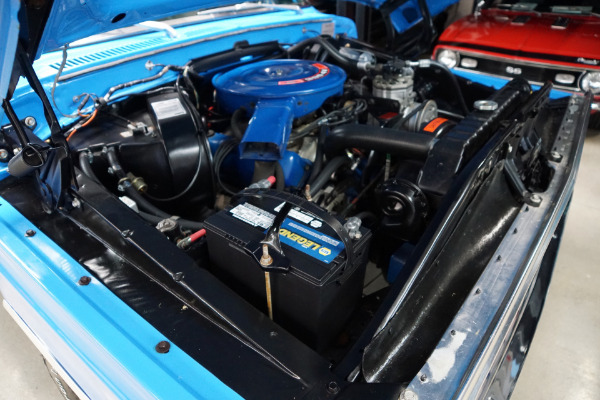 This truck is one extraordinarily well restored and upgraded with a Cam kit etc and which must be seen and driven to be fully appreciated - the original Big Block 390 4BBL V8 engine is extremely strong and responsive, the transmission shifts smoothly through the gears and the engine temperature always remains cool. In summary, this is one very extraordinarily fine example of this increasingly collectible and desirable 1974 year of the legendary full size Ford F100 pick up in rare turn-key ready, daily appreciating, daily driving and daily head-turning condition and an all time classic American truck with it's original Big Block V8 engine and fully loaded with factory options!